Download WeatherBug to access the world’s largest network of real-time weather and lightning sensors for the best forecasts, the fastest alerts and more. Get the most accurate pinpoint forecasts for your neighborhood and millions of cities around the world! Benefit from the fastest, most advanced early warning system! When minutes matter (and they do when severe weather strikes), get more time, and Know Before™. Download WeatherBug today! • NEW Spotlight section – Get “News of the Day” and other breaking weather stories from the WeatherBug Meteorology team to stay up-to-date on the weather around you. Now on both phone and tablet versions! • Real-Time Pin-Point Forecasts for Locations Worldwide – The most accurate current, extended and hourly weather forecasts for your neighborhood and millions of cities worldwide. With 25% more accurate forecasts for the next 24 hours (when compared to other weather apps), Know Before (TM) you head out! • Extended 10-Day Forecast – Weather happens. Get the most accurate extended forecast and Know Before (TM) 10 days ahead. • Exclusive DTAs & Severe Weather Alerts – Minutes Matter. Our Dangerous Thunderstorm Alerts (DTAs) provide you 50% faster warnings to severe weather than the competition’s weather alerts. Plus, you get National Weather Service (NWS) warnings and watches to stay informed of severe weather conditions at all your current and saved locations. 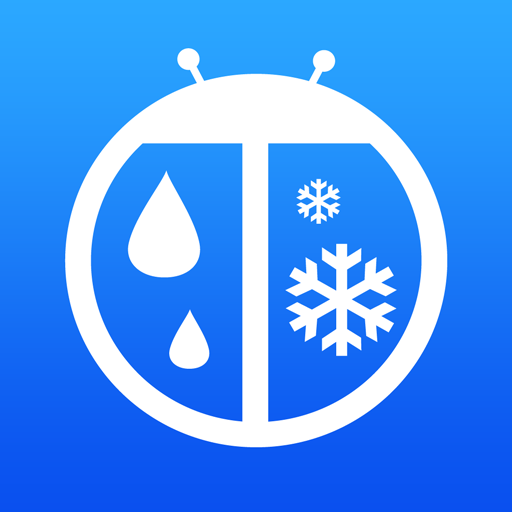 • Spark Alerts – Spark, an exclusive feature of WeatherBug, turns your smartphone into a personal lightning detector. Only WeatherBug can bring minute-by-minute, mile-by-mile Spark lightning strike alerts to you, in real-time, based on data from our total lightning detection network! • Photos Section – We’ve collected magnificent photography from our users for your viewing pleasure. Come see what others are sharing and enjoy the scenery! • Lifestyle Forecasts – Do I run outside or go to the gym? Should I cancel tomorrow’s picnic? Our new Lifestyle Forecasts identify and analyze specific weather parameters to advise you on how best to stay comfortable and have fun! • Spanish Language Support – ¿Hablas español? Sí? Well, WeatherBug does now too. Get your current and extended forecasts in Spanish! 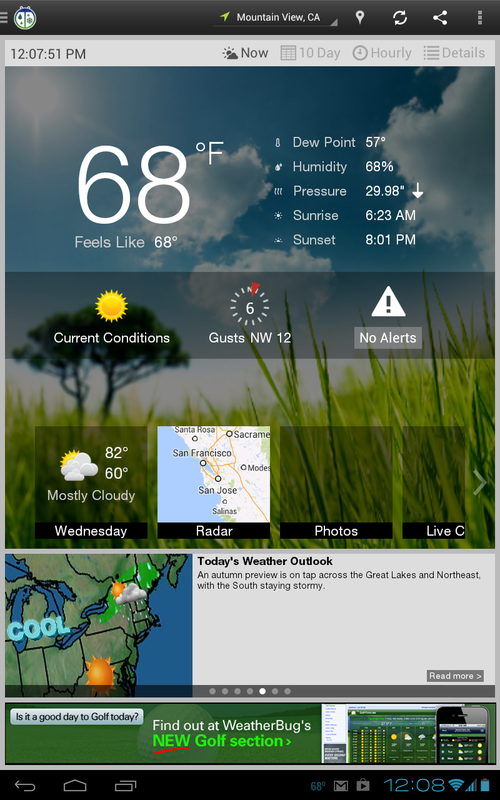 WeatherBug For Kindle Fire – the only weather app your Kindle Fire will ever need.